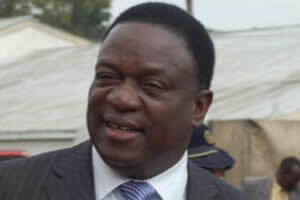 Vice President Emmerson Mnangagwa has said criminal defamation is a reasonable and justified law that must remain in the country’s statutes. The VP, who is also Minister of Justice, Legal and Parliamentary Affairs, defended the law in a case in which Zimbabwe Newspapers (1980) Limited and Herald editor Caesar Zvayi are seeking to have the law struck from the statute books. Zimpapers argues that Section 96 of the Criminal Law (Codification and Reform) Act, which criminalises defamation, is in violation of journalists’ right to freedom of expression as enshrined in Section 61 of the Constitution of Zimbabwe. The same law, Zimpapers argues, infringes on the people’s freedom of the media guaranteed in the supreme law. VP Mnangagwa said Section 96 of the Criminal Law (Codification and Reform) Act must remain in the statute books. “I pray that the offence of criminal defamation as defined in Section 96 (of the Criminal Code) should remain in the statute books and not be struck down as being null and void. I therefore urge this honourable court to dismiss the application with costs,” he said. He said the law was a reasonable piece of legislation that sought to protect the masses from intentional character assassination. “I deny that the said Section 96 impinges on applicants’ rights in the manner alleged or at all, or that there is anything cynical about it . . .
“What Section 96 seeks to do is to guarantee the right to dignity, a right that is also specifically guaranteed in Section 51 of the same Constitution, through criminalising defamation. “Any harm to a person’s reputation affects their dignity, and the right to human dignity must therefore be respected and protected,” he said. VP Mnangagwa added that the law promotes responsible journalism in the country. “Section 96 of the Criminal Code is not incompatible with Section 61(1) of the Constitution, but seeks to foster responsible information dissemination and journalism, and to ensure that in the exercise of their right to freedom of expression and freedom of the media, journalists act responsibly by verifying their facts before publication,” he said. The section in question, the VP said, provided quicker remedy to the offended. “Civil remedies are long and protracted and are costly to the injured party who has to seek the protection of a right which is guaranteed in Section 51 of the Constitution through a civil remedy. “Criminal defamation guarantees a quicker remedy to a person whose reputation has been unjustifiably injured,” said VP Mnangagwa. Meanwhile, Prosecutor General Mr Johannes Tomana also filed his notice of opposition to the Zimpapers application, saying the law was not selective and that journalism was not the only profession governed by legislation. “Journalism cannot be described as being over-regulated as other professions like medicine and accounting are regulated by various pieces of legislation and this is not unusual. “Section 96 does not criminalise genuine errors because where the intention to cause harm is absent, a person cannot be charged with defamation,” said Mr Tomana. However, Mr Tomana indicated that he was wrongly cited in the proceedings. “I humbly submit that I was not supposed to have been cited in these proceedings. I am not involved in the legislative processes. “My mandate is confined to observing the law and ensuring its implementation in criminal proceedings. I therefore do not have control of what is contained in the statute books,” he said. The matter is yet to be set down for hearing at the Constitutional Court.